Terra launched in a sun-synchronous orbit on 18 December 1999. 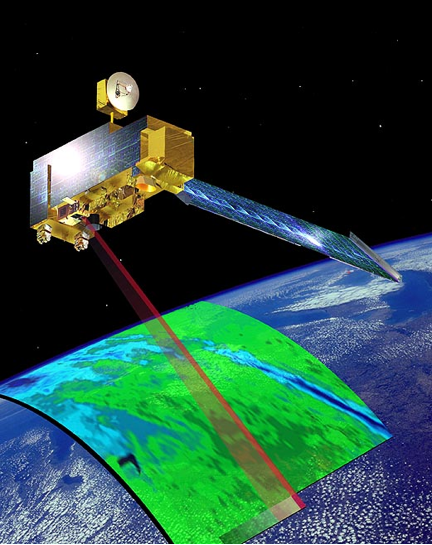 Terra is the flagship of the NASA Earth Observing System (EOS), a series of spacecraft that represent a landmark step in NASA's role to observe Earth from the unique vantage point of space. Terra focuses on measurements identified by a consensus of U.S. and international scientists enabling research into the ways that Earth's lands, oceans, air, ice, and life function as a total environmental system.